As the world’s largest dam, many of the impacts have had macro-scale impacts. Like many dam projects, a number of people had to be relocated when the project began. The total number ordered to move in China is an estimated 1.2 million, including 100+ towns and two large cities that were along the banks of the Yangtze River. 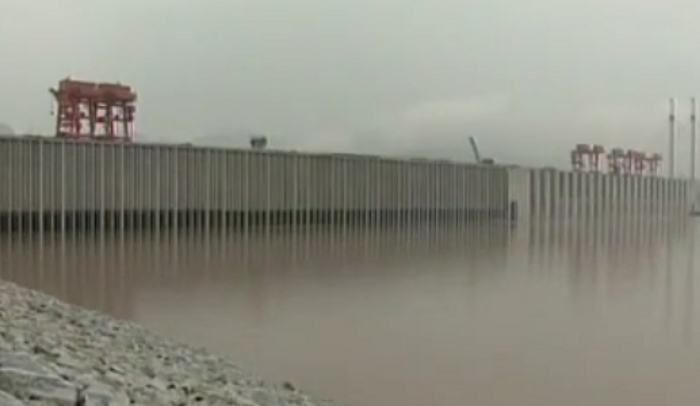 The Three Gorges Dam environmental impacts also include these concerning issues. 1. There have been changes to local weather patterns. Although the dam itself is rated to provide 18,000 megawatts of power, it hasn’t been without sacrifices. The region, which was usually not prone to drought, has been seeing quite a bit of it after the reservoirs for the dam were filled. There has also been less rain in the region and this has created the potential for increased disease. 2. Several landslides have taken numerous lives. It only took 1 month for the first major landslide to occur when the first reservoir for the Three Gorges Dam was filled. 20 million cubic meters of rock came down into the Qinggan River, which resulted in 65-foot waves that would kill 14 people. Another landslide in Badong County in 2007 buried a bus, killing 30 people. Dozens more landslides have occurred in a 20-mile stretch of shoreline. 3. Scientists fear that the Three Gorges Dam may trigger a massive earthquake. The reservoir for this dam project sits on two major faults. Scientists belief that the changing water levels of the reservoir places a strain on the fault line. By changing the state of the fault, the intensity and activity of the fault can induce severe earthquakes. A 2011 study published by Probe International shows the Chinese Earthquake Administration had already confirmed over 3,400 earthquakes in the region. 4. It threatens local biodiversity. This region in China is one of the most diverse and unique in the world today. 10% of the world’s rooted, stemmed, and leaved plants live there. Half of China’s animal and plant species that are found there cannot be found anywhere else in the world. The giant panda makes its home there. More than 20% of Chinese seed plants are found there. All of it is at risk with the implementation of this dam project. 5. It places fish populations in peril. Although long-term data is needed to determine the true number of Three Gorges Dam environmental impacts, it is clear that extensive damage has already been done. This is why everyone is in agreement that this project may be one of the greatest man-made environmental disasters of all time.